Vanessa Reyes would give anything to be a real photographer, shooting for investigative journalism pieces that could make a difference in the world. But with her sister’s medical bills to pay, she’s stuck tailing Hollywood’s latest bad boy Jax Butler through New York, cashing in on every one of his plentiful hookups. She might not love her job, but she feels no remorse about exposing Jax for the heartless heartbreaker he is. Why shouldn’t she cash in on his dirty dealing? But when Jax is ordered to clean up his public image, he can think of no better media contact to approach for help than his rival. Keep your friends close and your enemies… Well, you know the rest. As for Vanessa, her boss has ordered her to find him newer, dirtier dirt on Jax. What better way to worm her way into his good graces than by accepting his offer to write some fluff pieces about him? The post <p style="text-align:center;font-weight:bold;">An interesting romance centered around a mega-popular movie star and a member of the paparazzi. 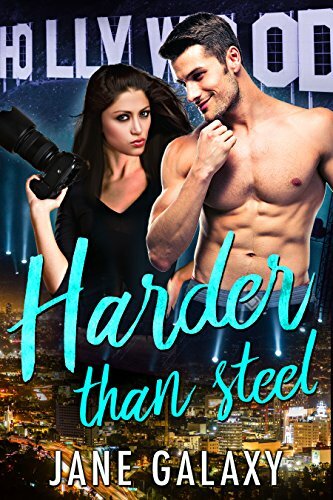 <br /><em>Harder Than Steel (Super Stars Book 1)</em> by Jane Galaxy</p> appeared first on Kindle Fire on Kindle Nation Daily.